Saving money is hard enough. No one wants more bills to pay, especially when you’re on a fixed or limited income.But insurance is something of a necessary evil. And certain insurance plans can help you live out your golden years as worry-free as possible — a worthy investment in your well-deserved break from workaday reality. Use insurance to make retirement more relaxing! Planning to see the world now that you’re not bogged down by your work schedule — or your kids crazy carousel of activities? You are not alone. Travel is the number one retirement goal. Before you start jet setting, it might be a good idea to invest in travel insurance. This might not have been necessary when you were younger, but it could be more critical as you age and are more likely to need medical coverage. Although coverage specifics vary, most policies include clauses not only for medical and emergency services, but also for travel delays, cancellations and other unforeseen (and potentially very costly) circumstances. The cost of the plan will depend on your age, the trip duration, the cost of your trip and destination, as well as the extent of the coverage you choose. A great one-stop insurance shop beloved by travelers of all stripes is SquareMouth, which makes it super simple to see and compare what plans are available for your particular itinerary. Want to keep receiving paychecks once you’ve clocked out for the last time? Social Security is a (hopefully — read more about why Social Security might be in trouble) guaranteed paycheck. However, regardless of risk, Social Security probably won’t cover all of your expenses. If you want guaranteed income to fund your retirement, then you might want to consider a lifetime annuity. An annuity is a financial product sold by insurance companies. It guarantees reliable income to the purchaser (annuitant) for life (a lifetime annuity) or a predetermined period of time (a term annuity). A fixed lifetime annuity is the type of annuity used most often in retirement. In exchange for a certain premium, it guarantees income in a predetermined amount for life so you don’t run out of money – no matter how long you live. Here’s the good news: Our life expectancies are longer than ever. But that means we’re likelier than ever to need some sort of long-term care during our lifetimes. And that doesn’t have to mean a nursing home. From house call professionals who can help with daily activities to home modifications like ramp and grab bar installations, long-term care can help you live comfortably and independently as long as possible. Those services aren’t cheap, however. According to AARP, out-of-pocket costs for long term care run about $140,000 on average. So even though long-term care insurance can cost as much as $2,700 annually, buying a plan could still end up saving you (and your loved ones) a significant amount of money. If that sounds like a costly gamble to you, keep your eyes peeled for combination life insurance policies that include long-term care as part of their coverage. They’re more expensive than traditional life insurance plans, but they can maximize the benefits you get for your buck. You know you need regular healthcare coverage. Are you really prepared for the out of pocket expenses? Early Retirement Medical Insurance: If you are retiring before age 65, you need to brace against the potentially exorbitant costs of insuring yourself until you qualify for Medicare. Explore 6 ways to cover healthcare costs for an early retirement. The right Medicare supplemental insurance plan can reduce your out of pocket expenditures. However, supplemental medicare is complicated and has the potential to lead to a lot of confusion. Professional advice may help you find the right solution for your situation. It is also important to evaluate your coverage every year since policies can change and your health needs also evolve. Depending on the specifics of the healthcare coverage you received during your working years, this type of insurance may already be quite familiar. But if you didn’t opt into dental insurance before, now may be the time. You’re never too old for cavities, and seniors are prone to a number of additional dental issues like dry mouth and gum disease. Medicare doesn’t cover most routine dental care or procedures, though its Part A Hospital Insurance may pay for certain services you receive while hospitalized. Medicaid’s dental coverage varies by state, but there are no minimum coverage requirements for adult patients. Fortunately, it can be very affordable to add a dental insurance policy to your coverage. Well-known insurer Delta Dental has partnered with AARP to offer members affordable, wide-ranging coverage options; individual plans start at around $30 per month, depending on your specific needs and location. You might also consider purchasing a dental savings plan, which is a little different — and cheaper — than traditional dental insurance. Rather than necessitating a lengthy and uncertain approval process, the purchase of a dental savings plan immediately scores you steep discounts when you work with an approved provider. Best of all, they start at just about $10 a month. It’s the unfortunate truth: Some parts of our bodies just don’t work the same way as we get older. And our eyes are about as emblematic of an example as it gets. In fact, significant vision changes can start well before we’re even thinking about retirement, especially in today’s screen-driven work world. Even if you only purchase a new pair of glasses once every few years, vision insurance can pay off. Frames alone can cost hundreds of dollars, and that’s before you get to those custom-cut lenses. Vision insurance will also cover the costs of routine preventative eye care, such as screenings for glaucoma, macular degeneration and cataracts… all of which seniors need to keep an eye out for, so to speak. Additional insurance may seem like an unnecessary expense, but should something go wrong, you’ll be happy to have it. 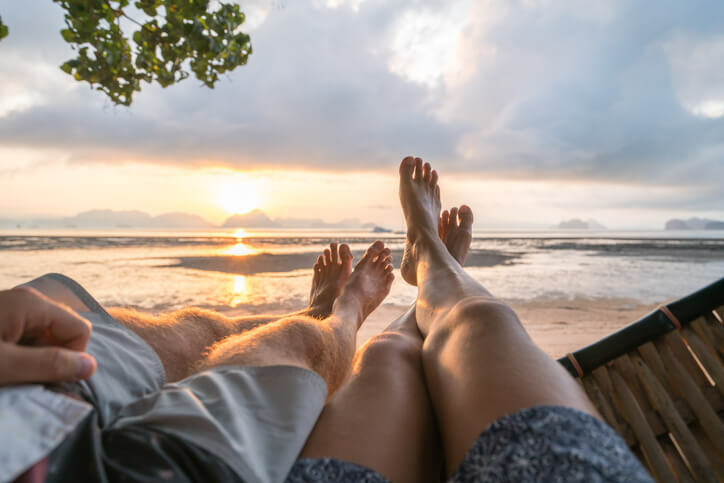 After all those hard years of work, you’ve earned a break — so make sure you have the coverage you need and have documented a detailed retirement plan then just relax and enjoy life. Ready to update your retirement plan to insure a secure retirement?